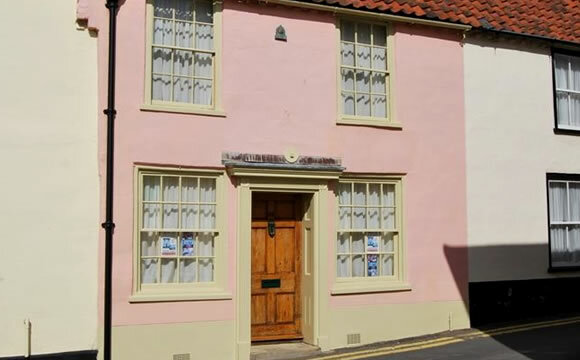 A quintessential cottage located in the heart of Wells-next-the-Sea with many original artworks and period furniture the cottage is a very special place to stay, and is the perfect holiday destination for couples and for families. Wells-next-the-Sea is a small popular town on the beautiful North Norfolk Coast. It features many narrow lanes filled with shops, pubs and cafes and beautiful sandy beach, with its pine trees and colourful beach huts. cottage in Wells-next-the-Sea on the fabulous North Norfolk coast. 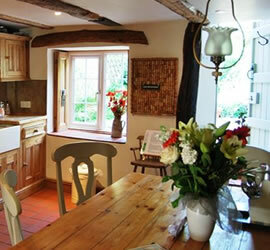 Walnut Cottage is the most beautifully restored and presented 18th century cottage situated in central Wells. Located on the old High Street in a quiet position just 5 minutes walk from the Quayside. A quintessential cottage with beams, a pine kitchen and a bathroom to die for, complete with free standing roll top bath and amazing original mural. Victorian style cast iron radiators and a woodburning stove make the house cosy place in wintertime. The cottage sleeps four, having a kingsize four poster bed in the master bedroom and a further twin bedroom on the top floor. There is a secluded and sheltered very pretty courtyard garden to the rear of the cottage with seating and outside lighting. This is a tranquil spot to enjoy the summer weather. Wells-next-the-Sea is a small popular town set behind a small harbour on the beautiful North Norfolk Coast and was voted the second best seaside resort in Britain by Holiday Which magazine. The town has a maze of narrow streets, old alleys and yards, filled with shops, pubs and cafes and there are many listed and impressive Georgian and Victorian buildings. 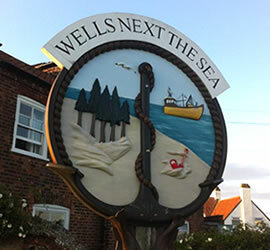 Wells-next-the-Sea is within an Area of Outstanding Natural Beauty at the heart of the Heritage Coast between Hunstanton and Weybourne. 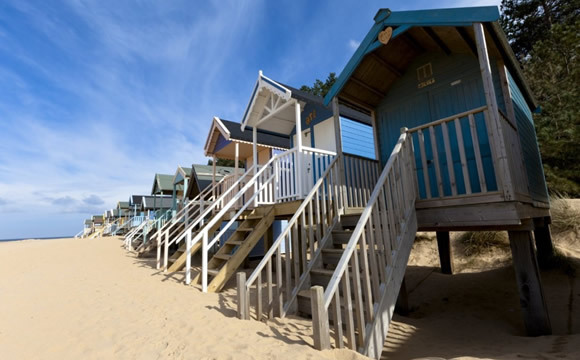 The beautiful sandy beach, with its pine trees, sand dunes and colourful beach huts, can be reached using a miniature steam train from the harbour or enjoyed by walking along the Quay with its active fishing fleet and sailing club.